Kendall and Brian were married in January at the Sundance Resort. Utah weather can be unpredictable and can change on a dime. One thing you think you can count on is snow in January. It hadn't snowed much all winter that year and there was no snow on the ground for Kendall and Brian's rehearsal the Friday before their big day. The couple and their guests prayed for snow and the snow gods answered! Fresh powder covered Sundance Resort on Saturday from a storm the night before. Snow was everywhere and it made for lovely winter wedding photographs. Kendall and Brian live in Park City but many family members and friends traveled to their wedding from out of state. 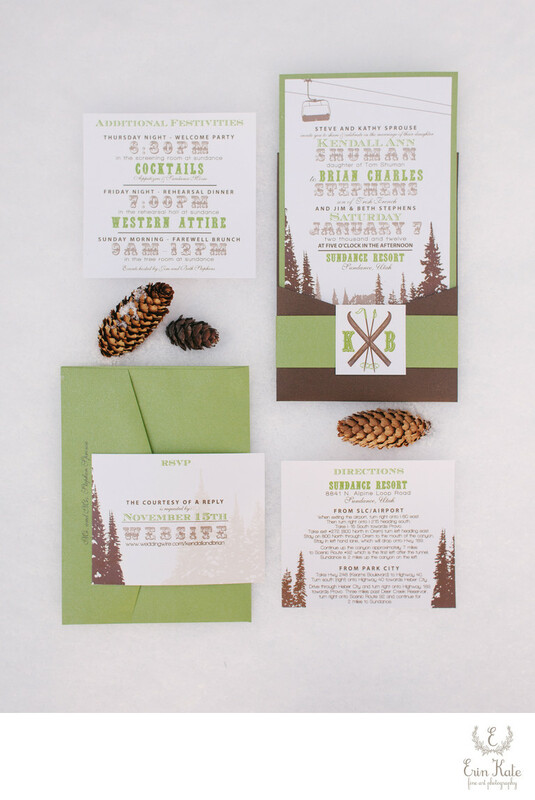 All of their wedding guests enjoyed the rustic modern lodging in the resort's cabins and mountain homes. This makes for an one-of-a-kind experience where they can be within walking distance of the resort's wonderful amenities. The Redford Hall hosted the couples ceremony. Candles lined the aisle and surrounded the aspen branch wedding arch. Following the ceremony guests made their way to the cocktail hour where they enjoyed a roaring fire in the fireplace and lovely views of the snow covered trees outside. The celebration commenced with dinner and dancing in the beautifully decorated Rehearsal Hall. Everything turned out perfect. 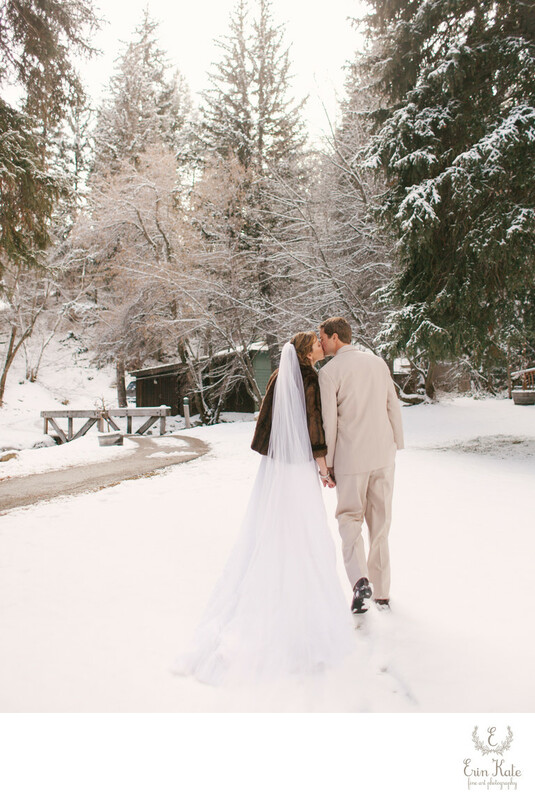 Kendall and Brian got that winter wedding they had always wished for! 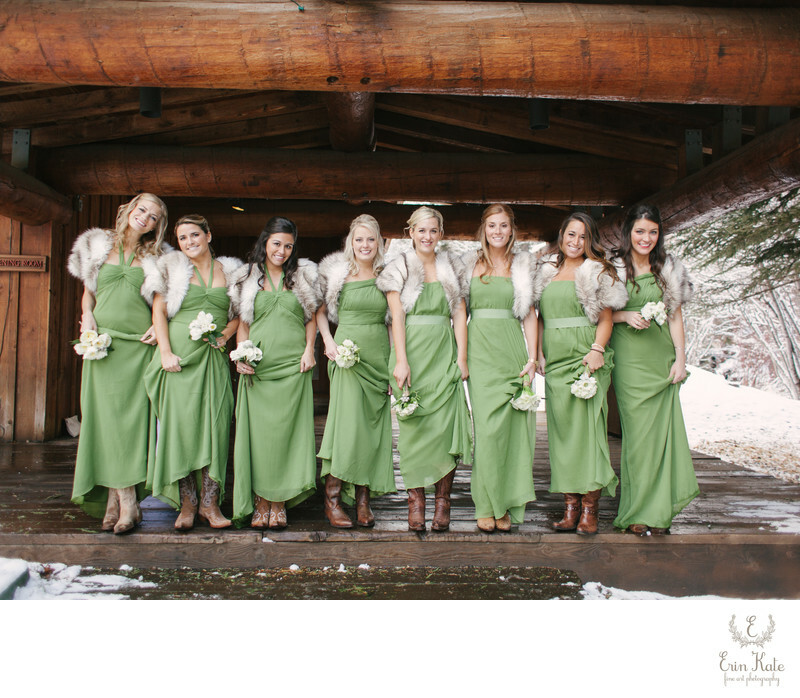 To view a lovely Sundance Resort elopement click here. Location: 8841 N. Alpine Loop Road Sundance, Utah 84604.